NEW YORK (WABC) -- There is something about Opening Day in baseball or Week 1 in the NFL. Whether your team is expected to win it all or be the worst team in the league, the start of a new season offers fans hope. In New York City, a new season also means new expectations. And in 2017, nearly all our expectations have been proven wrong. We'll start with the bad. The Giants sunk to a new low on Sunday in their 51-17 loss to the Rams. Players on Big Blue's defense were talking about the Super Bowl before the season started, and Eli Manning had several new weapons on offense. Now, the team that models itself on consistency is on the verge of firing their head coach after just two seasons, and the general manager may not be far behind. Some predicted the 2017 Mets would have the best pitching staff in MLB. But when it was all said and done, Jacob deGrom was the only starter to avoid major injury and Matt Harvey had the worst single season ever for a Mets starting pitcher. The Jets are, well, they're the Jets. On one hand, the team many said would go winless is sitting at 4-5 with a couple of young standout players. On the other hand, they are still in last place in the AFC East and have probably lost their shot at a top 5 draft pick. It hasn't all been bad, though. We saw what the Yankees did with their "rebuilding year." Even with the uncertainty of a new manager ahead of them, fans can still look back at 2017 as the year that rejuvenated their team. Surely, there are some fans out there who will tell you they predicted these things all along. However, anyone who says they knew the Knicks would be this much fun to watch two weeks into the season is lying. 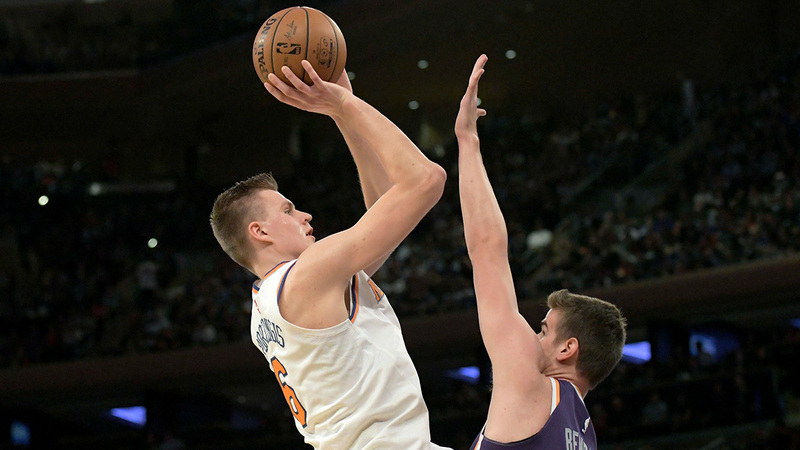 The biggest reason for the Knicks hot start is Kristaps Porzingis. He set a new career high in points per game three times in one week and is breaking Knicks records that put him in the same category as guys like Bernard King and Patrick Ewing. It is a very young season and no one knows if the Knicks can keep this up, but for now at least, the Knicks are fun to watch again.